Timed to coincide with the American Association of Neurological Surgeons (AANS) annual meeting, which is taking place this week in Miami, Integra® LifeSciences Holdings Corporation has announced the United States full market release of the Integra® Vu aPOD™ Prime Intervertebral Body Fusion Device (IBD). This move expands the company’s spine product portfolio with the addition of its first zero-profile, stand-alone IBD designed for anterior lumbar fusion (ALIF) procedures. The Integra® Vu aPOD™ Prime IBD has received 510(k) clearance from the United States Food & Drug Administration (FDA). IBDs are designed to help provide stability for spinal fusion after a diseased lumbar disc is surgically removed. They are small, hollow spinal implants that are inserted into the intervertebral space to restore physiological disc height and allow fusion between vertebral bodies. 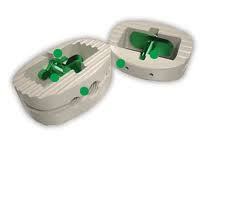 These devices relieve pressure on the nerves and provide positive mechanical stabilisation of the vertebrae. The graft window in the device is packed with autogenous bone and provides an environment in which natural bone growth can occur, which then enables fusion of the vertebral segments. Traditionally, surgeons use supplemental fixation to help hold the IBD in place. However, Integra® claims its the Integra Vu aPOD™ Prime IBD features the benefit of a zero-profile design by utilizing two screws to help secure the IBD in its functional position, eliminating the need for supplemental fixation implants, and reducing the number of steps and implants required to perform an ALIF procedure. “The Vu aPOD™ Prime IBD is my go-to choice for ALIF procedures. I am able to pack a large amount of graft in the device, and the versatility of fixation is great for meeting anything I come up against in the OR,” said design surgeon, Andrew Parkinson, MD from Orthopedic Associates in Oklahoma City, Oklahoma. The device was well received by surgeons throughout the controlled market release. “The Vu aPODTM Prime device’s more rounded edge appears to reduce post-operative implant settling into the vertebral endplates,” said design surgeon, James Bruffey, MD from Scripps Clinic in San Diego, California.